SOLD Exactissima Regni Scotiae Tabula. 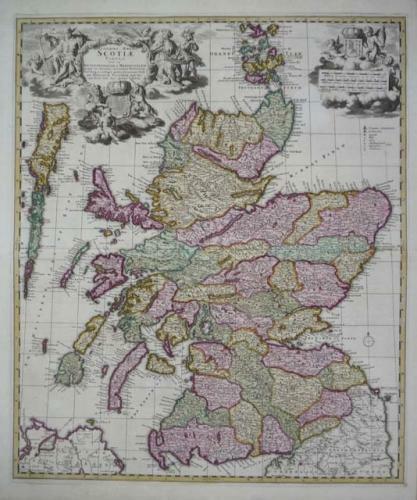 A large map of Scotland divided into north and south, and into the old counties. Large cartouche in upper left with the Royal arms of Great Britain and Scotland, and allegorical figures.